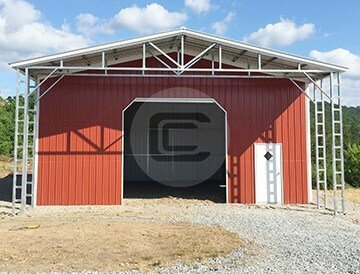 Vertical Roof Metal Utility Building which is 32′ wide x 41′ long and 15′ tall, all the walls of utility (32′ x 31′) are enclosed with vertical panels and 32′ x 10′ is top only i.e. roof only. 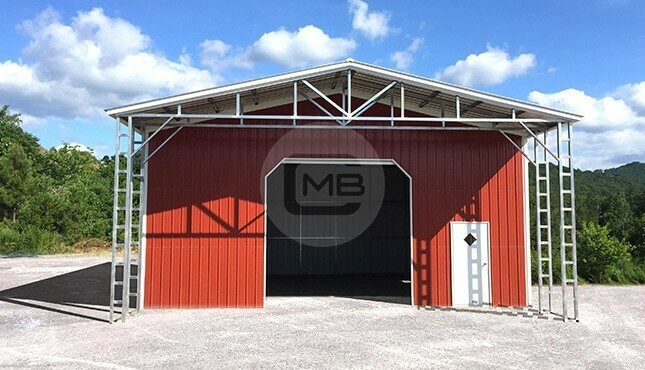 It also has (1) 12 x 12 roll up door with 45 degree opening, (1) walk in door, (1) window which makes it a perfect buy for your multiple applications. 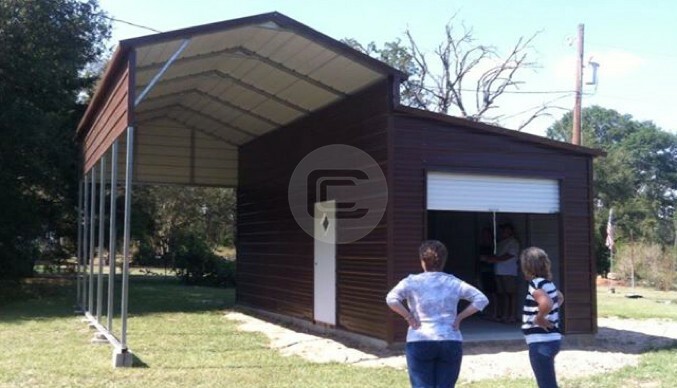 The price that Carport Central has installed it, is just $20,170. 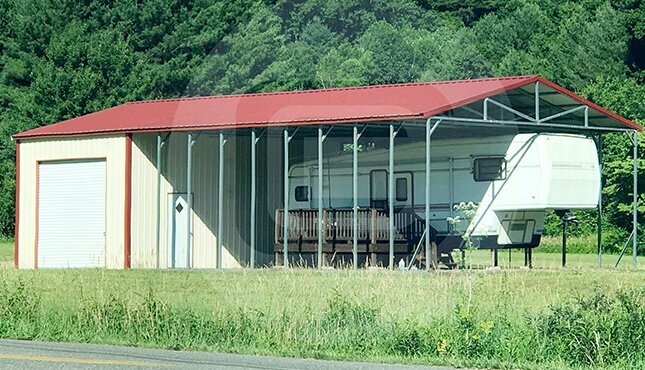 Please Note**15′ leg height may not be available in all states. 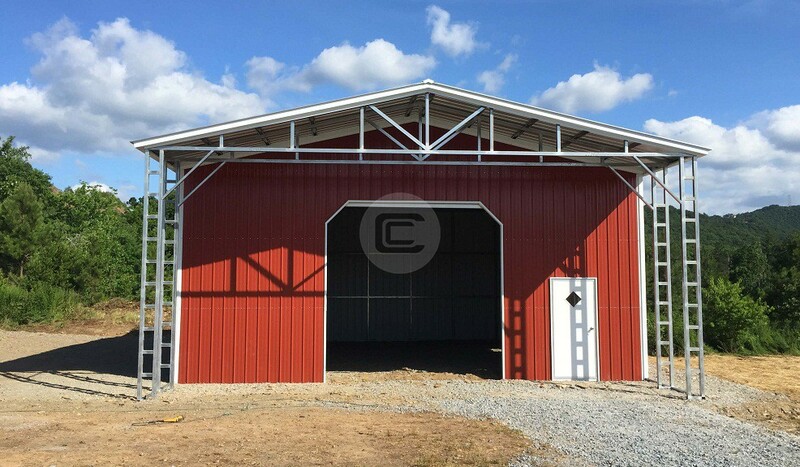 If required, additional Lift fee (equipment) estimated to be $1,000-$1,500 more., but you can contact us anytime at (844) 860-4950 to get this building customized per your needs and installed by our experts.